Samsung Galaxy J7 smartphone was released in June 2015. The phone comes with a 5.50-inch touchscreen display with a resolution of 720 pixels by 1280 pixels at price RM887. The Samsung Galaxy J7 is a dual SIM (GSM and GSM) smartphone and with the 13-megapixel primary camera on the rear and a 5-megapixel front shooter for selfies. It’s a reasonable price to get a Samsung smartphone with good camera. The Vivo Y51 is powered by 1.2GHz quad-core and it comes with 2GB of RAM. The phone packs 16GB of internal storage that can be expanded up to 128GB via a microSD card. Vivo Y51 smartphone was released in December 2015. The phone comes with a 5.00-inch touchscreen display with a resolution of 540 pixels by 960 pixels at price RM799. It is also a dual SIM smartphone. HTC Desire 728 Dual Sim smartphone was released in November 2015, price from RM799. It runs Android 5.1.1 Lollipop with HTC Sense and features a 5.5-inch HD (720×1280 pixels). It packs with the 13-megapixel rear camera with LED flash and a 5-megapixel secondary front-facing camera for selfies. Microsoft Lumia 650 was released in February 2016. Microsoft Lumia 650 is the newest phone from Microsoft and is also the best looking Lumia in a long time, with an attractive and reasonable price at RM899. With the 8-megapixel rear camera and 5-megapixel front camera, the photos app automatically backs up your shots and syncs them across your Windows 10 devices. 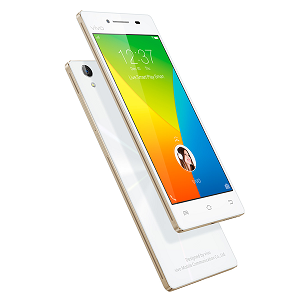 The Oppo Neo 7 runs Android 5.1 and is powered by a 2420mAh non removable battery. With a 5.0 inch screen, the Neo 7 is perfect for single-handed operation. The concentric circular arc cutting creates a unique streamlined arc for premium comfort in hand. With 8-megapixels rear and 5-megapixels front cameras, capture incredible memories that you can call yours. Priced at RM698. at price RM529. The Lenovo A6010 has a 8 megapixel rear (primary) camera, which will produce high quality photos. Its 2 megapixel front camera makes it an average choice for selfies. Asus Zenfone Max smartphone was released in January 2016. The Asus ZenFone Max packs a 13-megapixel primary camera on the rear and a 5-megapixel front shooter for selfies. It is also another dual SIM (GSM and GSM) smartphone that accepts two Micro-SIM and the phone comes with a 5.50-inch touchscreen display with a resolution of 720 pixels by 1280 pixels at price RM728. The new smartphone is product of overhauled design by the company and comes in a metal body with 8mm thickness and glossy finish. Huawei Honor 5X smartphone was release in November 2015. Huawei’s Honor 5X comes with a 5.5 inch Full HD display at price RM857. Rear capturing unit holds 13-megapixels lens with Dual-tone Flash whereas front unit of Huawei Honor’s 5X comprises of 5-megapixels special lens for taking selfies and video calls. Xiaomi Note 3 smartphone was released in February 2016, price from RM749. The phone comes with a 5.50-inch touchscreen display with a resolution of 1080 pixels by 1920 pixels. A massive 4050mAh battery that gives you peace of mind knowing you get a full day of use. Capture stunning professional-quality images on a 16-megapixels rear camera and 5-megapixels front camera for selfies. The Xperia M4 Aqua’s biggest selling points is that it is waterproof. The IP65 and IP68 ratings mean it is supposed to be able to withstand a 30-minute soak in up to 1.5m-deep freshwater, and is also resistant to damage from exposure to dust. The Xperia M4 Aqua has a 13 megapixel rear (primary) camera, which will produce high quality photos. Its 5 megapixel front camera makes it a good selfie phone. Sony Xperia M4 Aqua Dual smartphone was released in June 2015. Priced at RM919 for a waterproof camera phone is worth enough compare to others. DISCLAIMER: Price mentioned and links are correct at the time that this article was published, we make no guarantees for the prices or to the sellers that each links points to.